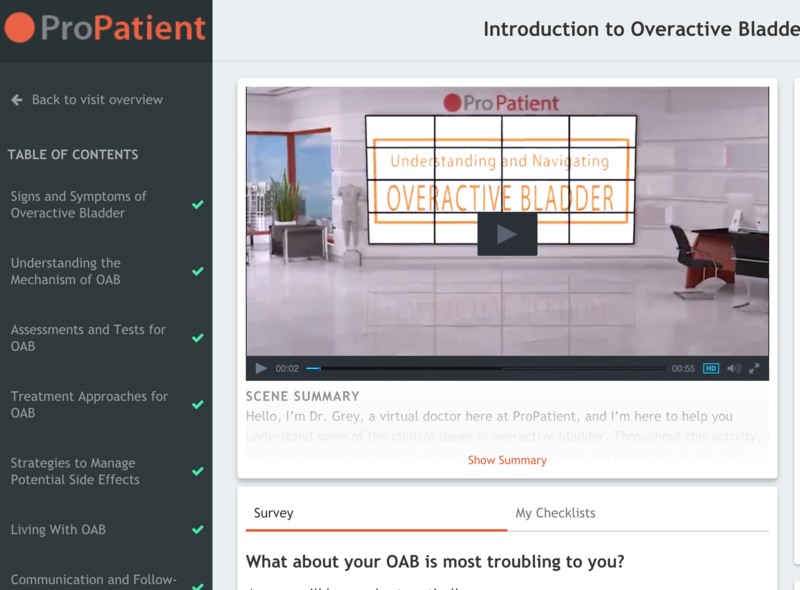 Hillsborough, NC, October 25, 2016	(Newswire.com) - ​ProPatient, a provider of interactive online patient education tools is teaming up with leading accredited medical education provider, the Academy for Continued Healthcare Learning (ACHL), to develop a unique and interactive online resource to support and inform people dealing with Overactive Bladder (OAB). The program is entitled, "Learning More About Overactive Bladder: Working With Your Care Team Toward a Common Goal." The module explores signs and symptoms, tests, and various treatments including behavioral therapy and available medications. It also includes strategies to manage potential side effects and best practices for communicating with one's healthcare provider.